American defender Jay was famously taken on trial by manager Ray Lewington after impressing in a friendly for Northwood against Watford. He earned himself a contract, and went on to play for the club for six seasons, captaining the side and gaining international recognition, including playing for the USA at the 2010 World Cup. 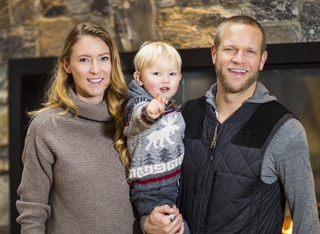 Now retired from football and living near Vancouver in Canada, Jay spoke to Watford Legends in 2018. Hi Jay, thanks for talking to Watford Legends. The last time you were on our screens you were running up snowy hills, through burning cabins and busting through walls! How did that come about? So I literally went, and it turns out a couple of the producers were from England. I auditioned for the running part and they learned my story and saw it fitted the message of the commercial. 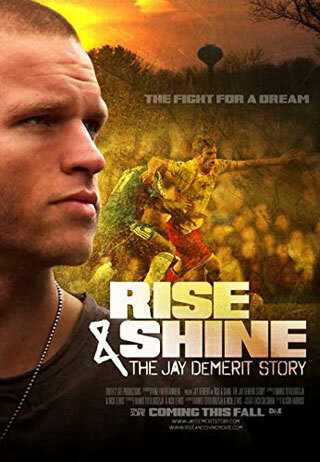 It didn’t start as it being me, Jay DeMerit, but as me auditioning as a runner, so it’s funny how different stories and different things can make it all work out. I filmed it last summer and they don’t tell you when it’s going to air or that it’s for an Olympics campaign or anything, so that was funny too when the Olympics broadcasts began and I started getting texts from all round the world saying “hey, is that you in the Toyota commercial? !” Pretty funny really but that’s how it all happened. It was over in Whistler where I spend most of my time, at the big ski hill called Whistler Blackcomb, we were up there at 11pm every night, running in the snow with big six foot drones chasing me through the woods! It was a really good shoot to be part of. It’s pretty well documented that you were spotted by Ray Lewington in a pre-season friendly game at Northwood. Did you go into the game thinking this could be an opportunity to impress a professional club and earn a trial? Yeah I always came over with that intention. Any time I get in the eye of someone, I need to be prepared, to play well. I never thought I was there for a holiday. I was there with the intention of being in those conversations. I knew I wasn’t going to get many of those chances, so of course Ray giving me an amazing chance, not only taking a look at me in the Northwood game but going up to the assistant and asking “hey, who was that?” That was the first bit of respect I had for him, and the second part of that was him giving me a shot and throwing me in at the deep end and that came with the Real Zaragoza game. I’d been on trial for a week and a half, I’d had a couple of Reserve games under Nigel Gibbs and that was it. I wasn’t training with the first team yet and then all of a sudden Ray calls me into his office and said we’ve got this Real Zaragoza game and do you want to come to the stadium and be a part of it? I’m thinking I’ll get two minutes at the end of the game or get to sit on the bench like the pros, but to my surprise of course, I walk into the locker room on that day and on the whiteboard, there’s my name, next to ten other names that I’d never trained with before! So you hadn’t actually trained with any of the 1st team? Yeah, I was with the Reserves, you know Jamie Hand, Dominic Blizzard and all those guys, and then all of a sudden you get this opportunity and I’m playing next to Neil Cox and some of these guys. I’d seen them in the locker rooms and knew who they were, but I’d never shared a field with them. It started that whole journey. But I went there with this whole purpose of the opportunity and I certainly wasn’t going to let that slip, no matter how sticky the situations were. Your first competitive game was against Cambridge United in the League Cup. Was the first competitive game more memorable than the friendly? I think any time you get your debut, that is the big moment, but I think my first goal I think about more memorably and that was against Crewe Alexandra at Vicarage Road. I think I’d only played a couple of games for the first team and it was a goal that was a little bit out of character for a centre-back, hitting it from about 25 yards out into the bottom corner! It was in front of the home fans and you always remember the roar of the home crowd when it’s for you and from the beginning of my career, that was the first big moment. I watched it the other day, it was a good strike! Yeah I think the rest of them came via my head, I didn’t score too many with my feet! We heard a story that Ray Lewington had to put you and Heidar Helguson on the same team in training so you didn’t end up injuring each other as you were both so competitive – any truth in that? Yeah for sure, I think both of us don’t really have the “off” button, especially at that time. I learned through playing and having a bit more maturity as a player to manage training and all that kind of stuff. That was my first season and I had signed a one-year deal and by no means was I making enough money where I could think about going somewhere else or that I thought it would last for ever. I was more than ever in that first season just chomping at the bit to prove that I belonged there. Going up against those kinds of players in training for me, I saw it as a great opportunity to show the coaching staff I was prepared, ready and was willing to go up against a guy like Heidar every day, try and make him better and of course try and make myself learn the game. Coming up against him every day in training made me better and I think the competitiveness in both of us shone through. Of course, he’s not one to back down and where I was in that part of my life, I was willing to do anything. You were only on a one-year contract, and then Ray Lewington was replaced by Aidy Boothroyd – were you worried about the new manager coming in? Yeah and that was the first time, as someone not from a culture where this happens a lot, where a manager got fired. That was an initial shock like “now what happens?” I didn’t really know, I was pretty naïve about the whole situation. And then of course everyone speculates, there were some big names out there that I’d heard of, and then all of a sudden Aidy Boothroyd gets the job and we’re all a little bit confused as to who he was. None of us knew him and he didn’t have a track record yet. I was open to the idea as Aidy and I have a lot in common, coming from obscurity into these bigger roles, and I think we always liked that about each other. You could see his drive and belief and positivity from the moment I met him and I think from there, once I met him I thought our personalities seemed to fit the team he wanted to build and for me it was an interesting challenge. I think at the time I was just like everyone else, we had to feel this guy out as we didn’t know he was but it turned out to be a great move. Aidy made it pretty clear that he expected promotion the following season. Did you think it was possible? At the time he told us, no. I don’t think any of us sitting there in the dressing room did. I remember it clearly him telling us that at the end of the season we’re going to be in the Premier League. I remember the snickering and the looks of like, what? But the proof is in the pudding, and the proof is in the work and Aidy came to work every day with that belief system that was infectious, got guys like myself to really buy into that, guys like Marlon King to really buy in, and who previously wouldn’t buy into that if they didn’t believe in it. You know Marlon’s not the type of person who would buy into the fluff of that. He was able to prove to us over time that he was right and he just had to get the right energy out of us and he certainly did that. Of course Watford made it to the Play-Off final and you played quite a prominent role in the game! What do you remember about the goal? I just remember it was one of our first corners of the game. It was little bit back and forth in the first ten or fifteen minutes, no-one really had a grasp of the game. Corners are always the first opportunity for defenders to get involved and take their mind off their defensive duties. I just remember running up and thinking where am I going to go. I remember my run on that corner was to the near post, so I knew whoever was marking me, which turned out to be Rob Hulse, I knew he thought I would peel back and then charge to the near post and get a flick on or a near post header, that was one of my moves. Then when he lined up against me he was inching towards there so I thought ok, I’ll just switch my run here. Sure enough, Youngy as he always does, whips in a perfect cross and I see Rob is on the other side and can see Malky Mackay and Sean Gregan and I see the ball coming right towards where I was running and from there nothing else matters. I just remember solely concentrating on the ball and I did see there was a huge goalkeeper there, but I had the opportunity to go for it. Sure enough I was there to meet it at the right time and throw myself at it with a force where I could change the direction of the ball. You get a cross hit that hard by someone like Ashley Young, it doesn’t always feel great on your head! And you see this, almost like a flash, like a big thud on your head then this little flash, and then I don’t remember anything until, I remember being by the penalty spot and having the whole team huddled around me. I don’t remember from the time it hit my head to the time I saw my team all around me screaming. I guess I blacked out for ten seconds! I remember from the video Marlon King shouting something at you. Yeah I think he grabbed my face and shouted something at me. Him and Malky shouting at me. That was the start of it, and then there’s this feeling of “oh wow you just did that”, and then the competitive side of you says to get your head back in the game. I think that’s a real credit to where we were as a team at that point. We were a group that really didn’t take no for an answer, a group that really supported each other and a group that was really well prepared. I knew that after scoring a goal, it didn’t matter, and my job was to get back on the field and do what I was supposed to do defensively, based on us eleven as a group. Aidy had prepared so well and I think the performance itself, the 3-0 result, we couldn’t have played a more team perfect game, everyone did their jobs. The defence kept a clean sheet, the guys up front scored two, and then everyone else from the Gavin Mahons to Springy to any of those guys. Everyone did their jobs to the best of their abilities and really just performed 10 out of 10 that day, and that showed in that team performance, it was full on performance from the kick-off. And then you got Man of the Match as well! Yeah for sure! I think the clean sheet plus the goal helped with that. I think if we’d have let one in I’m not sure that would have happened. I think because we kept a clean sheet, it was a defensive performance that we were proud of, and then the goal as a bonus, and that combination gave me the green light for that one! Your year in the Premier League obviously ended with the disappointment of relegation, but how did you find the experience? I loved it, you know it gave me the springboard to go and play internationally. I was playing in the Premier League and got noticed by the US national team and that started the US thing and the run to the World Cup. I appreciate that season as much as it was hard to be a defender in the Premier League and unfortunately without Marlon King who was our main scorer and was full of confidence at the time. I think it would have been a very different season with him, you know the goals dried up and if you don’t score, it’s very difficult. It was very disappointing for us at the back because I think we kept seven or eight clean sheets that year, so for me I was pretty happy with my performances as an individual, but it was still very tough as a team. What I learned about the Premier League is that how unforgiving it is, you could put in a team performance for 89 minutes, then for instance in the Chelsea game, all of a sudden, 92nd minute, cross comes in, one chance, Salomon Kalou – done! You walk in with your heads down and your three points gone and you played fantastically well, that’s just continuously what happened that season. It was an amazing experience, and definitely a great learning experience. With the club being relegated, did you worry it may affect your international chances. Did you have any offers to stay in the Premier League with another club? I didn’t think it would hurt my chances too much. From a US soccer standard, being captain of a Championship team was as good as anybody really. I was confident of that. I was also excited for my role. Coming down, I was at a position where my contract was up and Aidy offered me a good deal to stay and obviously with Gavin leaving a couple of months later, it opened up a whole new opportunity for my role. For me, I’ve always been someone who really appreciates my role on a team and when I got offered the captaincy there was only one choice. I thought it was such a rare opportunity, that responsibility. To be an American captaining an amazing club like Watford who I’d grown a great connection with over a few years and that’s always mattered. I was never supposed to be there in the first place, so big money moves were never a part of my plan and never part of who I was supposed to be. It wasn’t really part of my story and I knew my story was quite important and how I could share that as a player and how I could bring that to an organisation and that continued through the rest of my career. I’ve always chosen that rather than to leave for more money to try different opportunities. That season the expectation was to get promoted again and then things started to go wrong. There were rumours that season of a bit of dressing room unrest when things started going badly. Was there any truth in that? There was just kind of a frustration with all of us. We were ten points clear at Christmas, we were scoring goals and everyone was healthy and then all of a sudden things started to disband and myself included, I wasn’t playing very well. I think we peaked too early, we had come so far and we’d had a lot of confidence and then all of a sudden things weren’t working out for us. Aidy as well, the stress of that, you’re watching the wheels fall off and it’s never fun to be a part of that. We limped into the Hull game and we didn’t really stand a chance in the first round of the play-offs to be honest, and I think we all felt that. You gotta come into those play-off places with a lot of confidence and if you think about what happened two years earlier, we walked into that Crystal Palace game and then the Leeds game with so much confidence and so much togetherness and it was a little bit opposite when we walked into that Hull game. It was a long season and we’d peaked too early and all those were causes for us not going back up. The following season saw Brendan Rodgers come in. How did you find working for him? I really like Brendan. I wish he would have stayed longer, but obviously it was a short tenure. What I liked about him was his ability to communicate, he tried to communicate with his players and his captain. Obviously I was captain at that time and he gave me a lot of confidence. When he got hired he called me right away and said this is the kind of team he has and let’s work together. I just liked his communication level. He’s a really sharp guy, he’s funny and has a sharp personality. On the field his training sessions were great, probably the best training sessions I ever had were with Brendan. We were never standing around, everything was with purpose. Everything was how we could play out of the back, and that was the first manager I’d really played out from the back with, and as a player I started to learn a little bit more on the technical side. Not just athleticism and competitiveness, and that was my true key through the Aidy Boothroyd reign. Aidy’s style of play was not as technical as Brendan’s, and I became a better technical player under him too. Were you surprised when he left? Yeah I was. I understand why he did, we all have our own clubs and who we’re close to. He probably had a better deal and all those things that come into play. But that’s football and I wasn’t that surprised. I think all of us were excited and wanted him to stay but that happens all the time. Having played with Malky Mackay, how did you find him as a manager? It’s a different dynamic for sure. Malky was my room mate for many years and a mentor of mine, both on and off the field. At that time, the World Cup was looming, I had that crazy eye infection so I spent a lot of that season in my bed, trying to heal up so I could have a chance of making the World Cup! It was a pretty short time to develop a player manager relationship, it went from being a friendship into him being a manager, and with me having some of the priority was trying to make the World Cup team. I did a lot of the rehab on my own. It was fine. I knew my time there would probably be pretty short because of that relationship. I know that happens a lot, when managers and their friends end it because it doesn’t work as well. If he says something to me as a manager, of course I respect that, but it is different. That was my last season at the club, and from there I played in the World Cup and I owe it to Malky who helped me get there. I have the ultimate respect for him, because at the time when I came back from the eye injury he didn’t have to play me. I’d been out for four and half months and we were doing ok but he didn’t have to play me. But he knew the idea of what I was trying to achieve and went with me and I think that’s what I owe him. He was like, I know you’re not that fit but you need to get fit so I’m going to play you through these last couple of months and see if we can get you to a World Cup. That’s what I recall from that experience and then I left the club to come to Vancouver. Was there an opportunity to stay at Watford? No, it was kind of a conversation between me and Malky, that you know you’re looking to move into a different direction. I’d played all of my career in England but all of my family and friends are from the States and I’d always been interested in heading back to the MLS at some point and with the franchise expansion in Vancouver, and them offer for me to be the first signing at the club, I thought that opportunity was a little bit too hard to pass up. I think Malky being a friend we could have talked about it more, but I think there was a mutual understanding that this is where we’re going to cut the cord and move on. He moved on to great coaching success and I moved on to a great experience here in Vancouver to finish my career. How did you find playing in the MLS compared to playing in England? The Championship is probably what I would put it towards – upper Championship I would say where physicality and athleticism is apparent. There’s really good athletes in soccer players here. The technical level of the Premier League is a bit of a step above. I would say now, six years on since I have played in the MLS, I would say it’s certainly got much better from when I signed in 2011. Back then there was probably eight out of the eleven that could play in the Championship, now I would say eleven out of eleven could play in the Championship with three of four being able to play internationally or in the top leagues for sure. That’s a credit to the league itself and how they’ve grown and a lot of the players like me who have taken a chance and who have come back to this domestic league and help it grow. And some of the best players in the world now are starting to come in the later primes of their career and have really given it a go, understanding it’s good and it’s only getting better. You played for Watford for six years and so had a lot of centre-back partners – did you have a favourite? Malky I think was my favourite, not only because of our success. Just again as a mentor. My character is someone who is competitive, someone who wears their heart on their sleeve, someone who could go out and match the best players in the world and make them have a difficult day. He taught me how to be a centre-half, how to keep the guys in front of you, how to position to save yourself a lot of work athletically or a lot of the time what I was trying to do running around. He showed me how to be a good centre-back and really completed me as a player. I would say him. I’m guessing the World Cup in 2010 was probably the highlight of your career? I would say probably number one was the national anthem for the World Cup in 2010, against England of course. I had just come through this crazy adversity through literally being blind and major transplant surgery in my eye, to get to that moment. Yet I was playing against the team that gave me my professional life. It was all those factors. My family and friends were in the stands that day, I just remember our national anthem and just thinking, you know all the journey too, how you got there, where I’ve come from. It’s a long, long way from that, as anyone that knows my story knows! That for me was my favourite moment, closely followed by the Play-Off final, closely followed by when we beat Spain in the Confederations Cup semi-final to get to our first ever major final as a US team. We then lost to Brazil 3-2 in the final. But that was an amazing experience in 2009. They would probably be my top three. How did the Rise and Shine documentary come about? That was a project just before the World Cup. A guy I went to University with, I played soccer with him. He’s a massive soccer fan and he said to me if I get to the World Cup, it’s nuts, it’s crazy, people need to know the story! He had a friend who was a filmmaker and was going to hire another on Craigslist, but said if we’re going to make it into a movie we need to send a camera to the World Cup to get footage of what goes on there, that’s the pinnacle. From there it was getting the raw footage and from there it goes to Kickstarter. In 2011, no-one really knew what Kickstarter was! I was amazed that the soccer community had raised $223,000 in 70 days to make my story into a documentary. So for me that was empowering as anything on a life level and that started my true purpose. This whole story I’m fortunate enough to live it so I don’t really need to talk about it, but all these people had raised $223,000 on my behalf, and I was like, wow I need to do more with this. It’s clearly much bigger than me. Now we’ve started the foundation, we use the DVD and a lot of speaking engagements at schools and stuff and use the Rise and Shine story. We created a youth development programme up here in the mountains, a summer youth development programme for young soccer players, boys and girls, called Rise and Shine Captains Camps. We use the Rise and Shine story for everyone. My wife who’s an Olympic gold medallist in skiing who has an amazing story to tell, we use our stories to inspire the next generation, but also on a lifestyle level, how dreaming big and believing in yourself, putting in the work ethic and the positivity required to have success. That answered my next question as what you’re upto these days! Yeah I do a lot of stuff. I do the foundation, the camps in the summer. I think some fans know that I have a degree in product design, so I started a stereo company, Portmanteau Stereo Company, three years ago. I design and create the concepts for home audio. We reclaim all this beautiful BC Douglas Fir Cedar Logs and turn them into handheld stereos and coffee tables with speakers built into them and all sorts of stuff like that so I’m still into the design world a little bit. I’m a Dad, I have a two-year old boy named Oakes. My wife and I live most of our time up in the mountains near Whistler in Pemberton. I’m guessing the Winter Olympics was a must watch viewing in your household?! Oh yeah! My wife did the commentary for the ski-cross here. That’s what her discipline was. The spirit of the Olympics in Vancouver is very high, it was only here in 2010. It was a game that really brought this country together in Canada and it’s pretty cool for me, an athlete to be part of this environment. We use all of these great experiences to keep growing all of our messages as athletes on to the next level and use it as a way to develop my kid and kids as well. That’s where I put a lot of my energy now, particularly the teenage years and I develop these curriculums. I’m coming back to England and trying to bring these curriculums into clubs over there. Lots to do and busy as ever! Probably Anfield – that was my first season as well, the Carling Cup semi-final. That atmosphere was electric and great to be a part of. Didier Drogba – he was bigger than you, stronger than you, faster than you, better touch than you! You just had to compete because he pretty much ticked all the boxes as far as how you could beat him. Lionel Messi – I got to play against him three times. None really, growing up in Wisconsin it was Green Bay Packers Football. I do remember my first jersey, I remember Eric Cantona and Manchester United was who I used to watch. A Chevy Truck - all chainsaws and trees! Kings of Leon. I also like a lot of DJ Music.